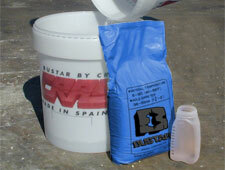 Crack your rock demolition project with simple, safe, Bustar. Utilizing this industry leading chemical demolition agent gives your project predictable, dust-free non-explosive demolition results. With twenty-five years of experience and thousands of successful projects, Demolition Technologies engineers expert solutions and provide industry leading service and support when designing and implementing non-explosive demolition methods employing expansive grout. Bustar is versatile: the chemical demolition agents work for projects ranging from building demolition to concrete demolition, from rock wall demolition to rock trenching and many more. Whether you have a building demolition project, a challenge involving rock demolition or stone quarrying objectives, or one of dozens of other non-explosive demolition requirements, Demolition Technologies chemical demolition agents can solve your controlled demolition needs. *The longer Bustar sets the more it will expand. Note: The information in this chart is approximate and is for informational purposes only. The core temperature, water temperature, or ambient conditions may effect cracking time. The product will continue to work up to a 7-day time frame to reach an expansive stress of 7000T/m2. Maximum spacing is 10 times the actual hole diameter. The depth of holes must be always deeper than the distance between holes. Minimum hole depth is 12 inches. In this case the distance between holes should be no more than 6 inches. Minimum recommended depth is 20 inches. Maximum recommended depth 19.5 feet. Maximum hole depth is 32.8 feet. 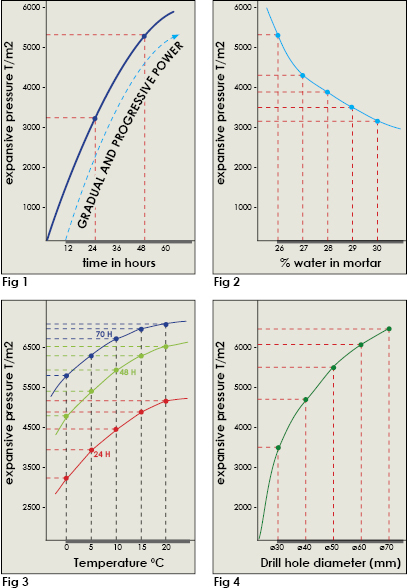 *The expansive pressure of Bustar develops in a progressive manner and is proportional to the time elapsed since loading (Fig 1). Power increases as time passes. Although fragmentation takes place within 12 to 24 hours, the progressive action of Bustar expansive grout continues for four days in summer and eight days in winter reaching a pressure of over 7000 T/m2 (rock and concrete break at between 1500 and 3000 T/m2). 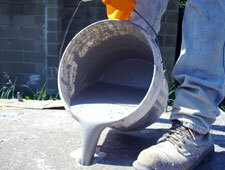 Bustar expanding grout tops traditional demolition methods for many controlled demolition situations. 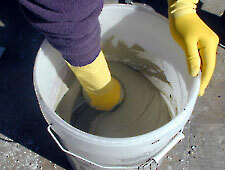 Consider chemical concrete demolition for your next concrete splitter, equipment pad removal, or other concrete demolition job. For building demolition, rock wall demolition, boulder breaking, and other selective demolition, Bustar is a safe and effective solution.